Dean has a tan shirt. It actually first appears in S7, but I didn't notice it until S8, so I'm keeping the name as is to make my life easier. My apologies for the confusion. This is another Carharrt shirt with two breast pockets and the little brown label on the left breast pocket flap. In Of Grave Importance (7x19), this might be the shirt that Dean wears at the beginning of the episode when he gets the call from Annie during dinner with Sam. Dean MIGHT be wearing this shirt again in What’s Up, Tiger Mommy? (8x02), when they go to the train station and discover that the tablet has been stolen. However, this guess is based solely off of colour – so who knows. In Sacrifice (8x23), this might be the shirt that Dean is wearing when they phone Crowley. In Bad Boys (9x07), Dean wears it at the very beginning of the episode when he gets the call from Sonny. In Captives (9x14), Dean wears this shirt at the end of the episode when they return to the Bunker with Mrs. Tran and then say goodbye to Kevin. In Stairway to Heaven (9x22), Dean is wearing this shirt when he wakes Sam up at the beginning of the episode, and then he and Sam leave the Bunker to go meet up with Cas. By the time they arrive at their destination, he has changed into a suit. 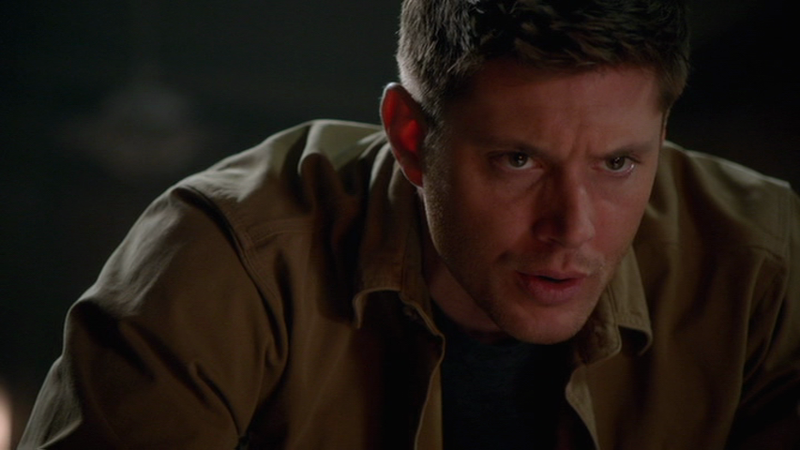 In Hibbing 911 (10x08), Dean is wearing this shirt when we see him researching in the bunker. So, Dean once wore a tan shirt?? Huh! I don't think I noticed him wearing that color. He wore one of Bobby's once back in S4, but this is the first time I've noticed him wearing one of his own. 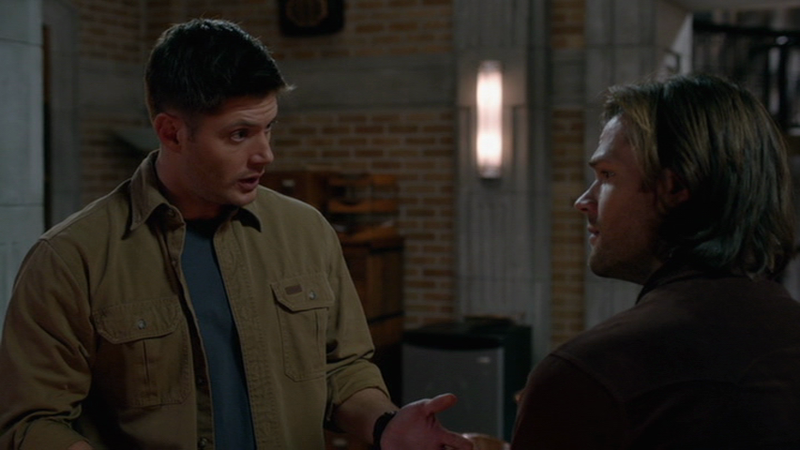 I always thought of that shirt Dean wore of Bobby's was brown, not tan. I liked that one. It kinda had a gold tinge to it. Well, colour is kind of a subjective thing. We actually see it differently depending on what words we were raised with.